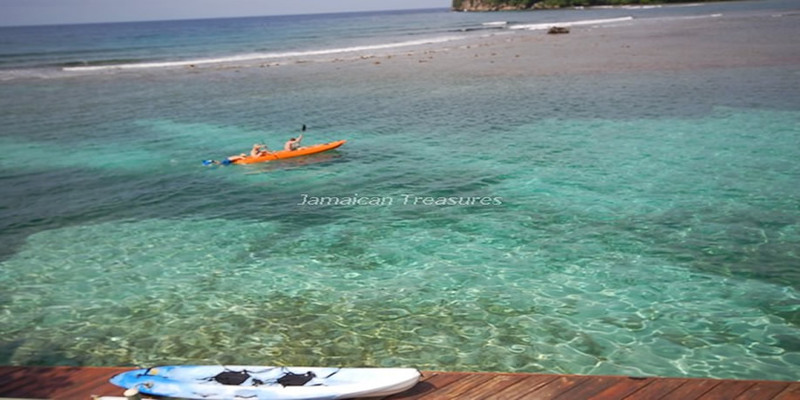 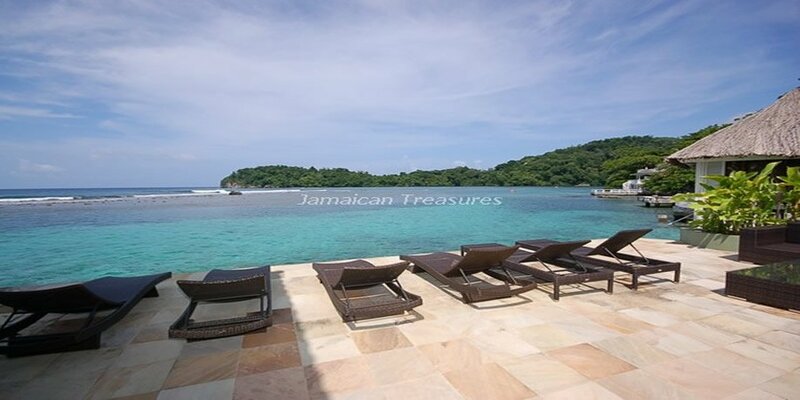 Sea Star Villa is one of the most amazing luxury villas Jamaica nestled between the sparkling Caribbean Sea in Port Antonio and the lush foliage of Portland. 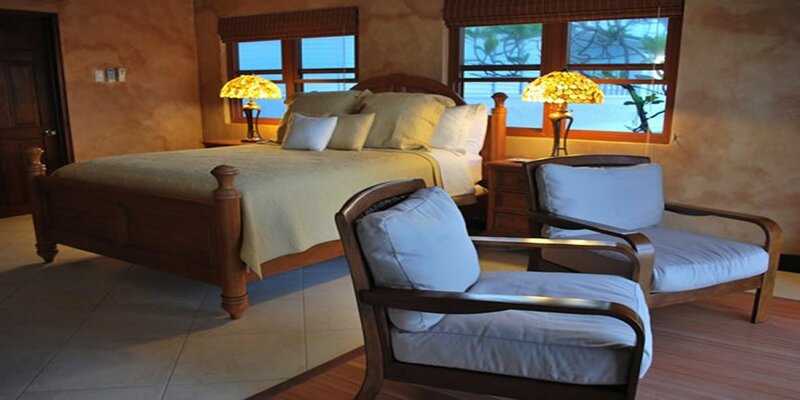 The latest addition to the exceedingly luxurious villas situated on the world renowned Blue Lagoon strip, offers the perfect setting for family vacation or a secluded, quiet romantic getaway. 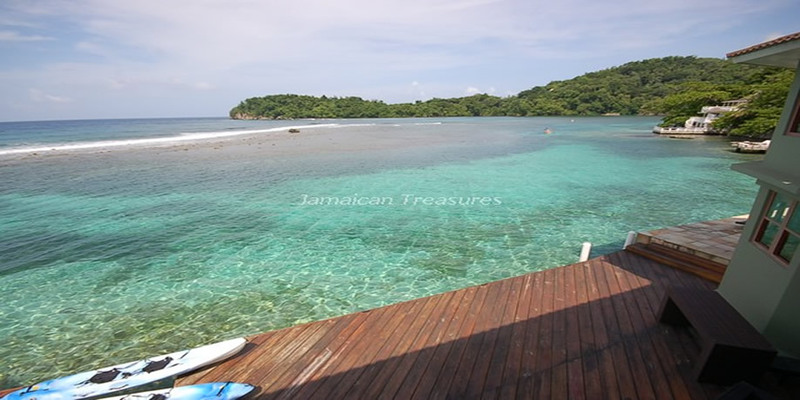 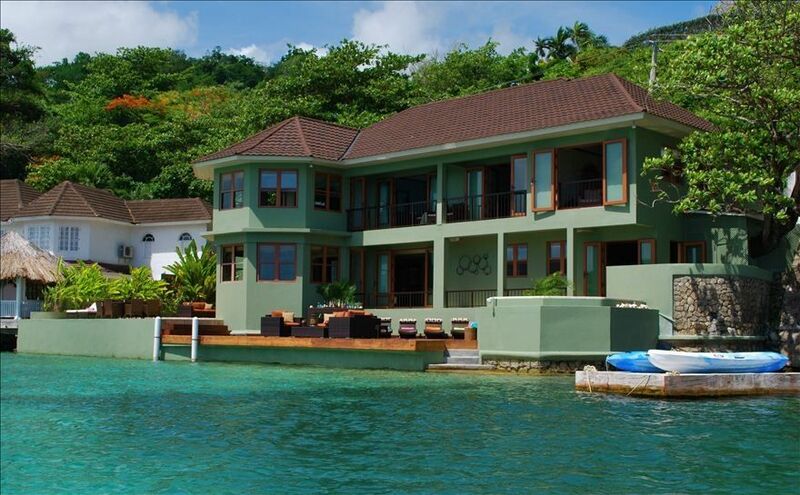 This exquisite five-bedroom waterfront Jamaica villa has a very serene and calming atmosphere with plenty of things to do. 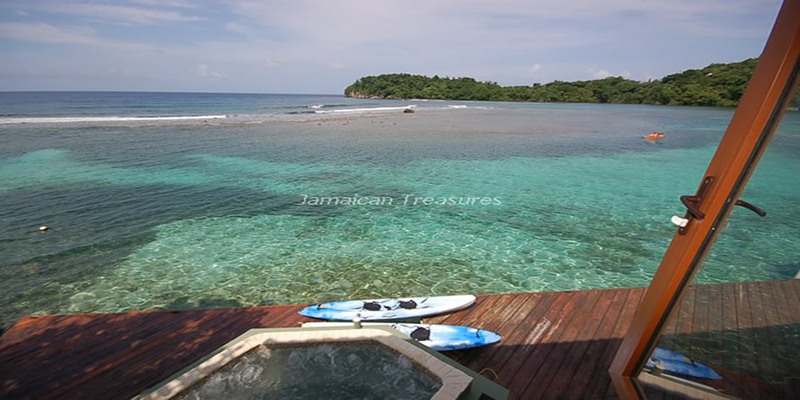 Guests at Sea Star Villa can spend the day relaxing, swimming, snorkeling, surfing or simply laze around, soaking up the Jamaican rays. 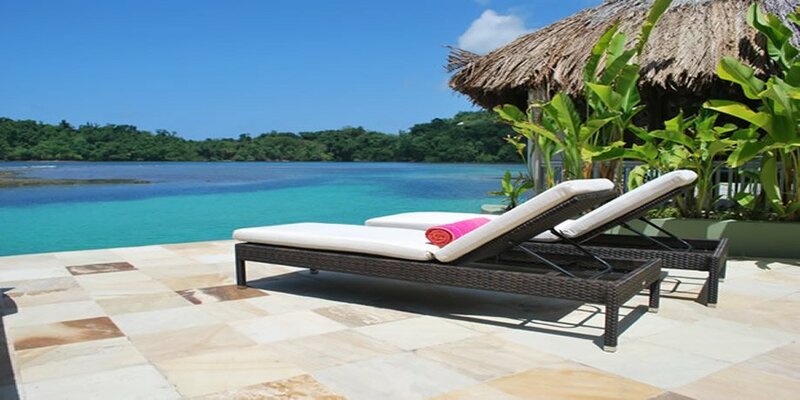 The split level sea-deck allows guests the option of lounging in the sun with easy access to the water, or sitting in a shaded tiki hut enjoying the spectacular view of the sparkling blue waters of the Caribbean Sea and the lush green vegetation on the mountains beyond. 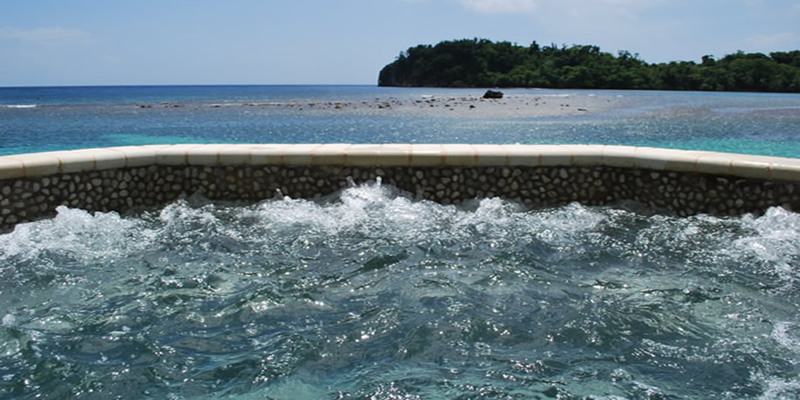 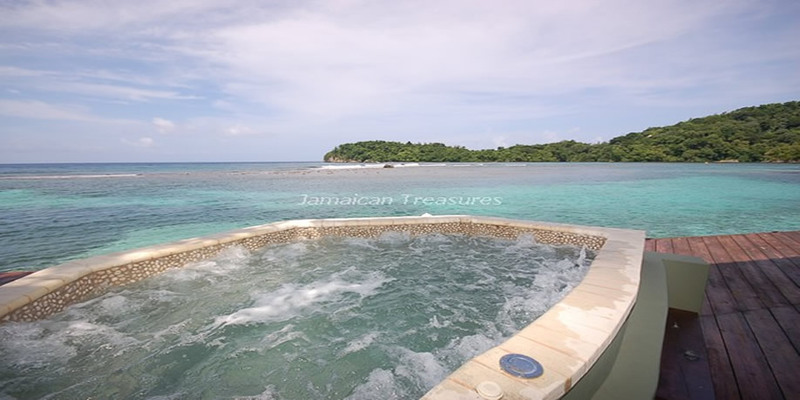 An oversized fresh water Jacuzzi allows for up to10 guests to experience the splendor of relaxing by the sea in their own private oasis at this fantastic villa in Jamaica. 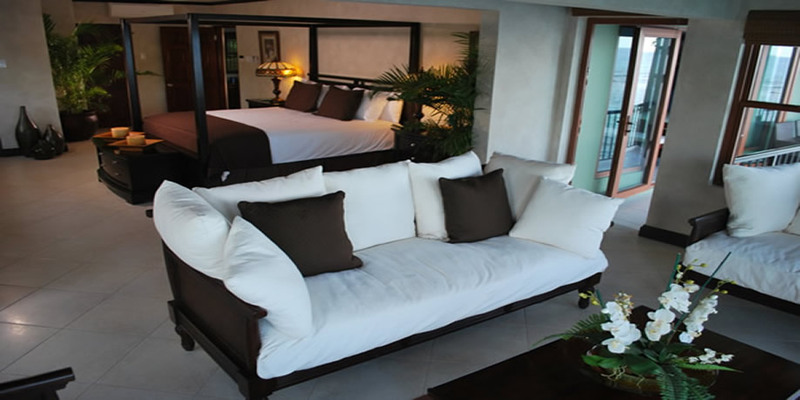 The five bedrooms at Sea Star Villa are very spacious and are furnished with elegant and classy furniture. 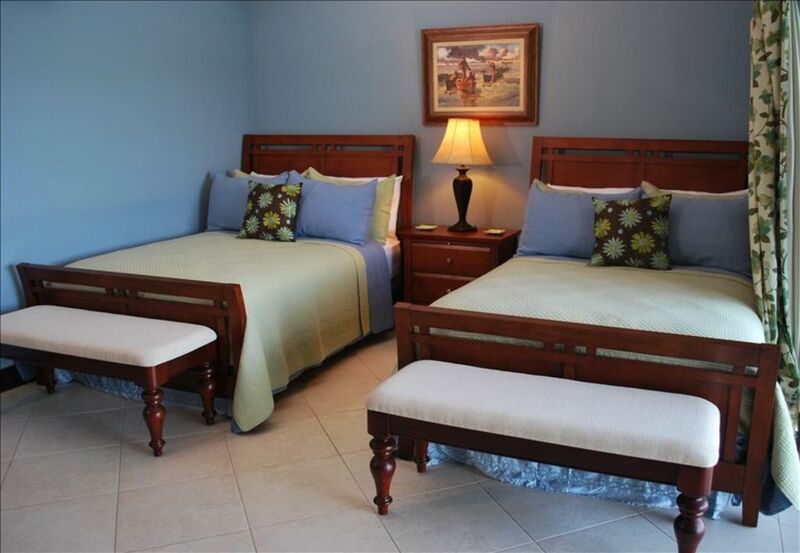 Three bedrooms are furnished with queen-sized beds, while the fourth and fifth have king-sized and two double beds respectively. 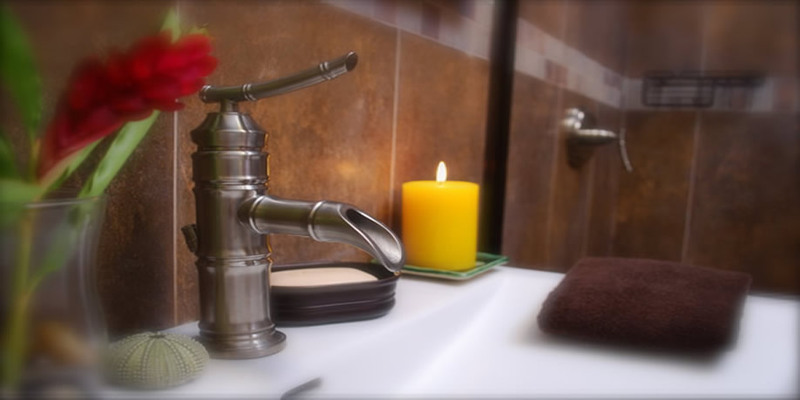 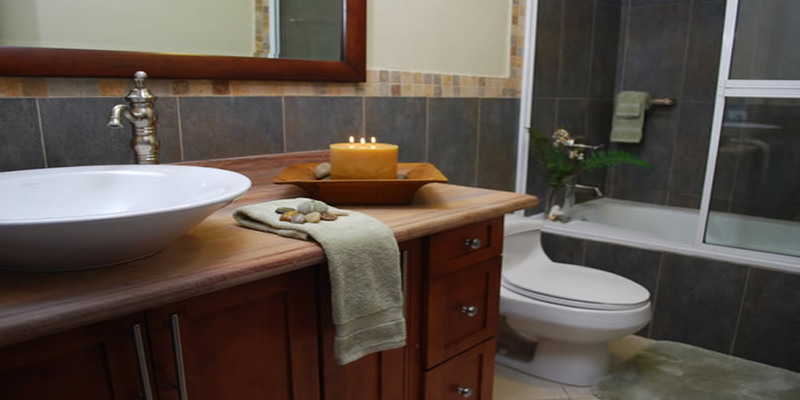 En suite bathrooms are available with all bedrooms, offering bath tubs or showers. 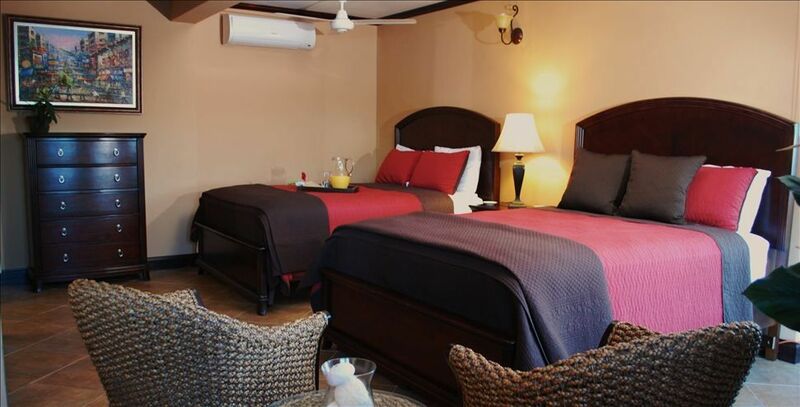 All bedrooms are equipped with air-conditioning and ceiling fans. 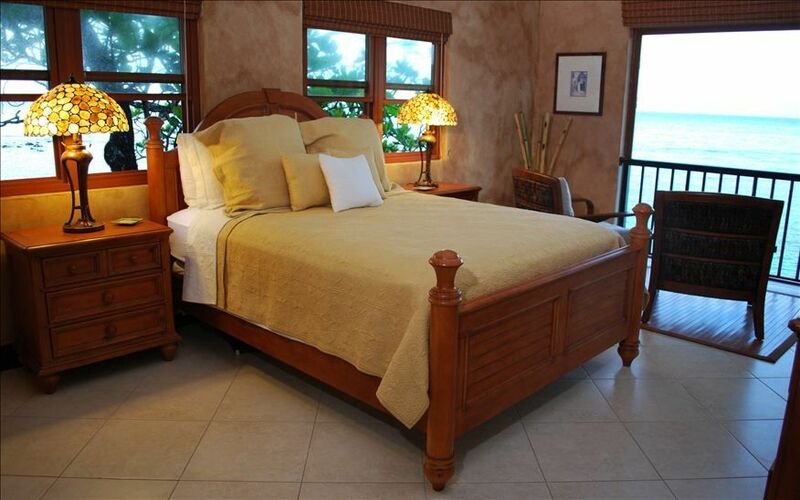 Except one, all other bedrooms are situated on the first floor. 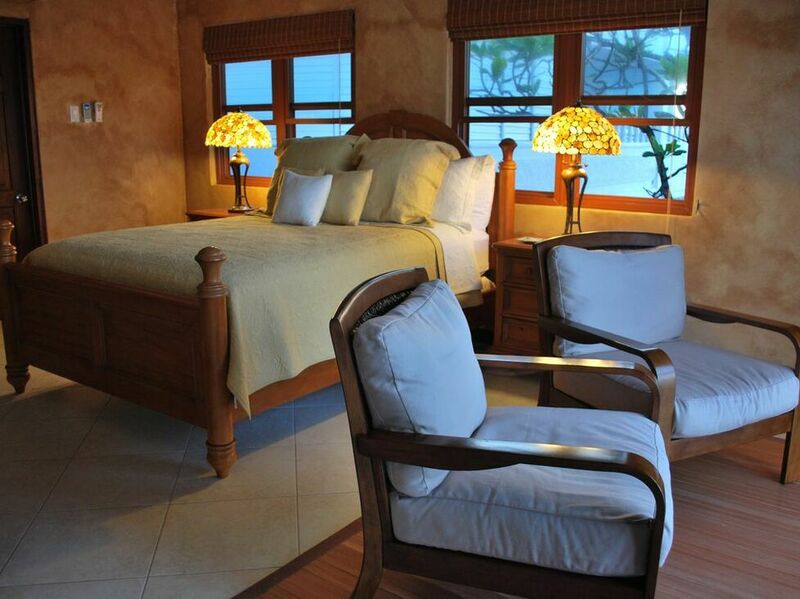 The master bedroom is located on the seafront with magnificent sea views from its several large windows. 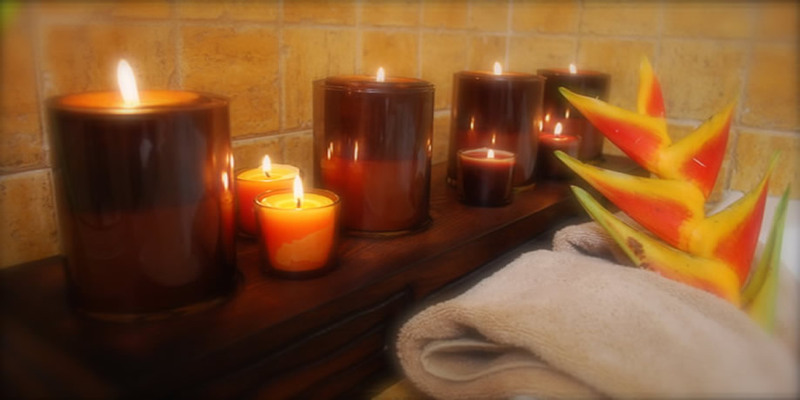 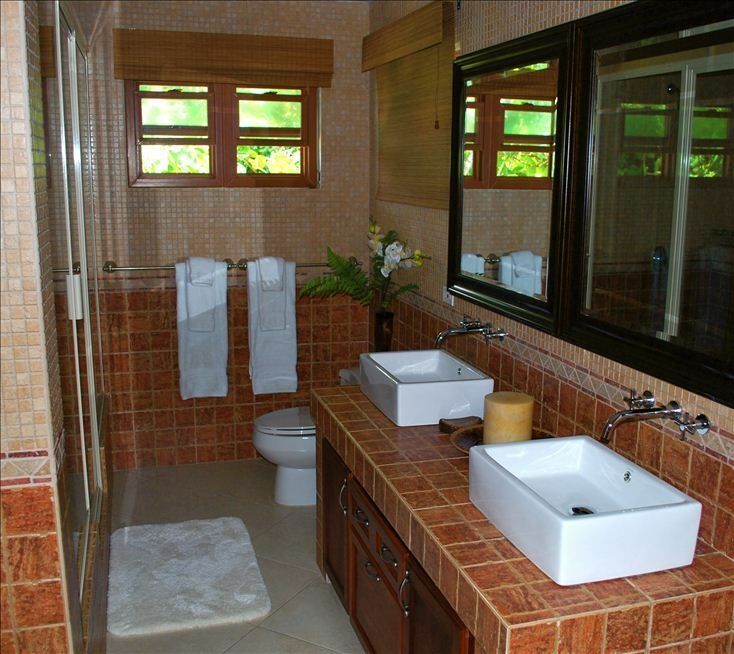 It also has a luxurious sitting area, mahogany desk and double shower and whirlpool bath. Beautiful bedspreads, colorful cushions, and lovely ocean views make each bedroom unique. 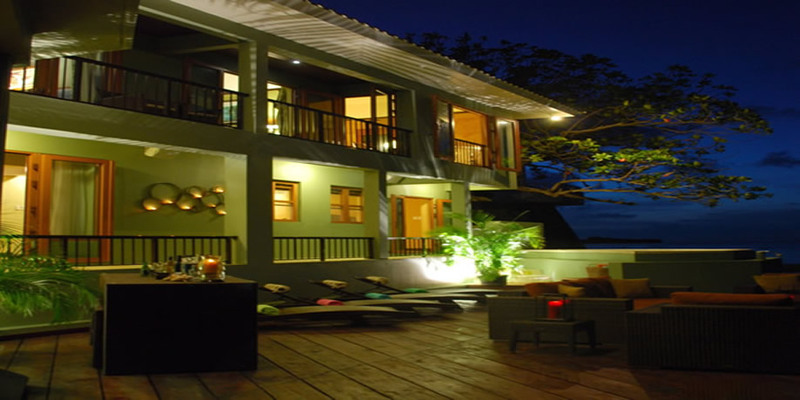 Sea Star Villa offers several very well-designed living areas. 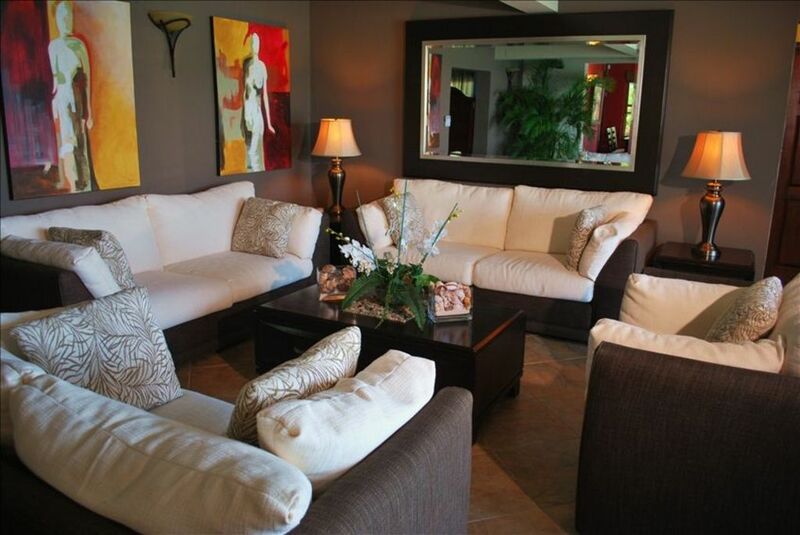 Brown dominates the décor in the living room, with splashes of white in the sofas, cushions and the exclusive art displayed on the walls. 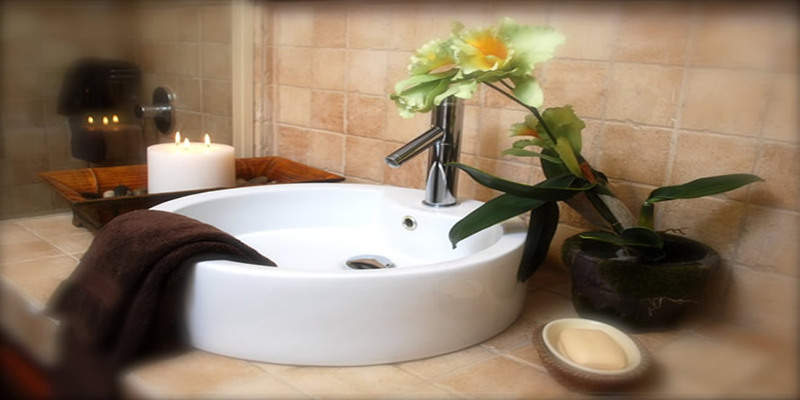 A large mirror fills up one of the walls adding additional depth to the room. 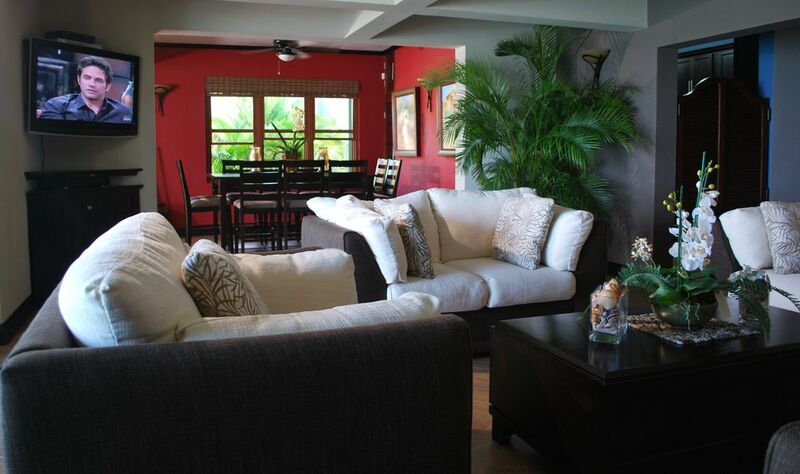 Cable television, stereo system and DVD player are available in the living room. 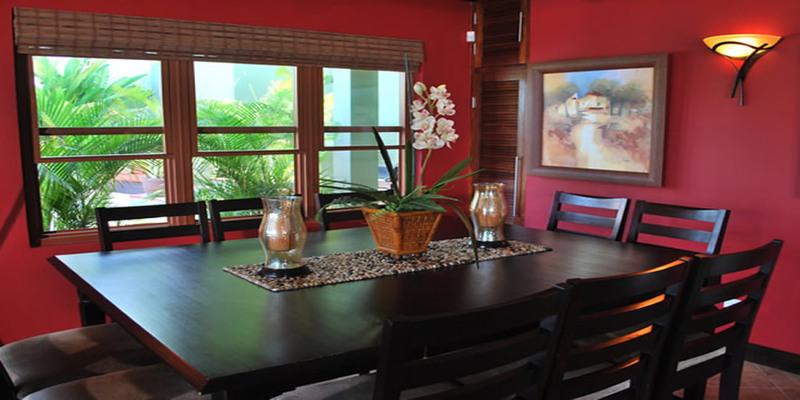 The adjacent dining area offers a sharp contrast with its rich red walls, lush greens visible through the windows and large deep brown wooden dining table that seats ten persons. 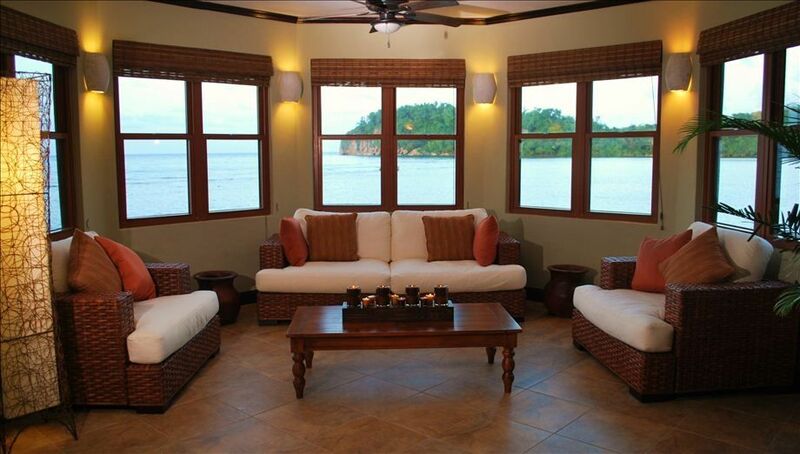 Meals can be served in this formal dining room or on the outside decking by candle light. The second living room is located on the seafront with glorious sea views from its several large windows. 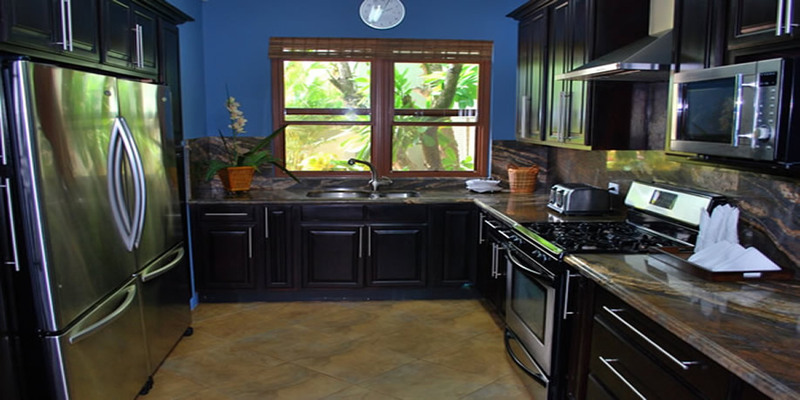 The kitchen is very contemporary with all essential gadgets and facilities. 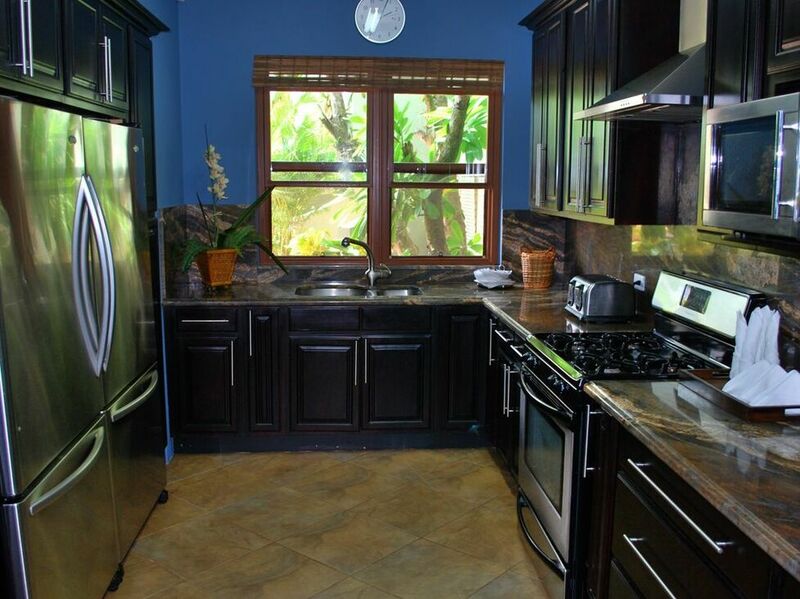 The blue walls, marble counter tops and rich brown cabinets create a lovely picture. 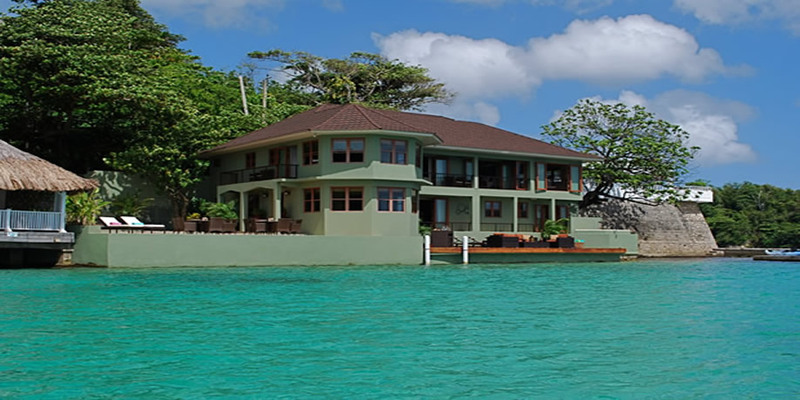 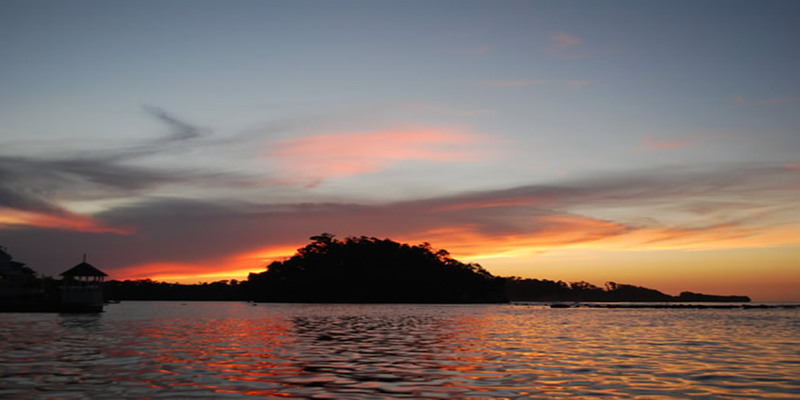 The well-trained staff at Sea Star Villa includes a chef, butler and housekeeper, who will pamper the guests with fabulous and outstanding service. 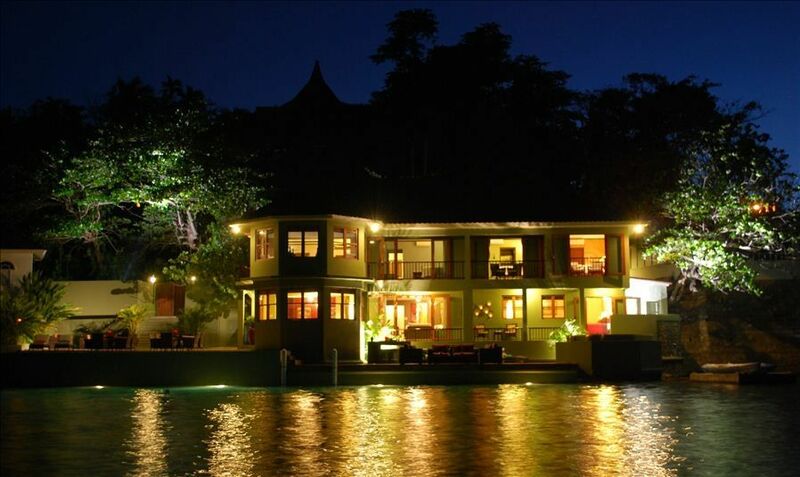 The villa staff lives on the premises. 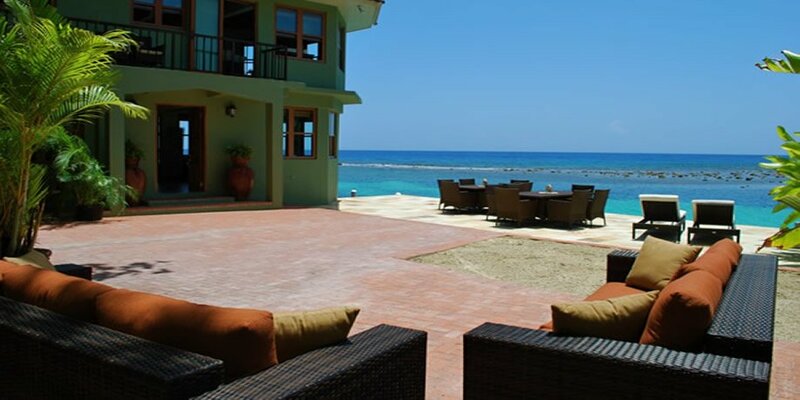 The chef is an expert in international or authentic Jamaican cuisine and each delectable meal prepared by him is a unique gourmet experience. 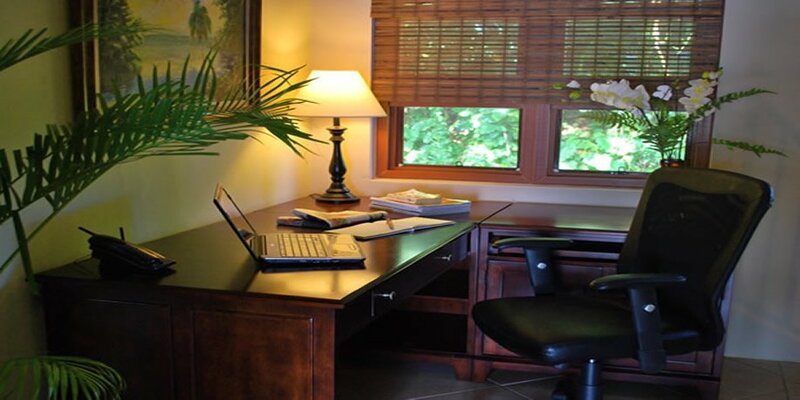 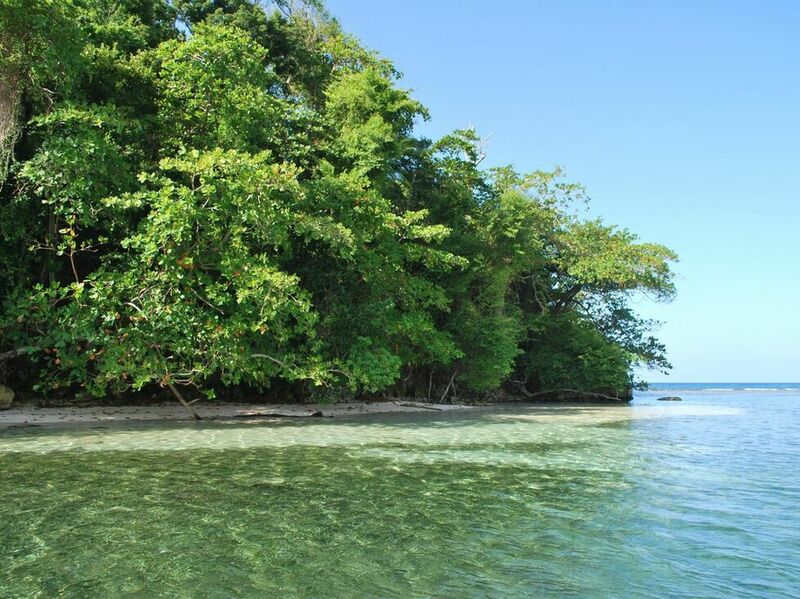 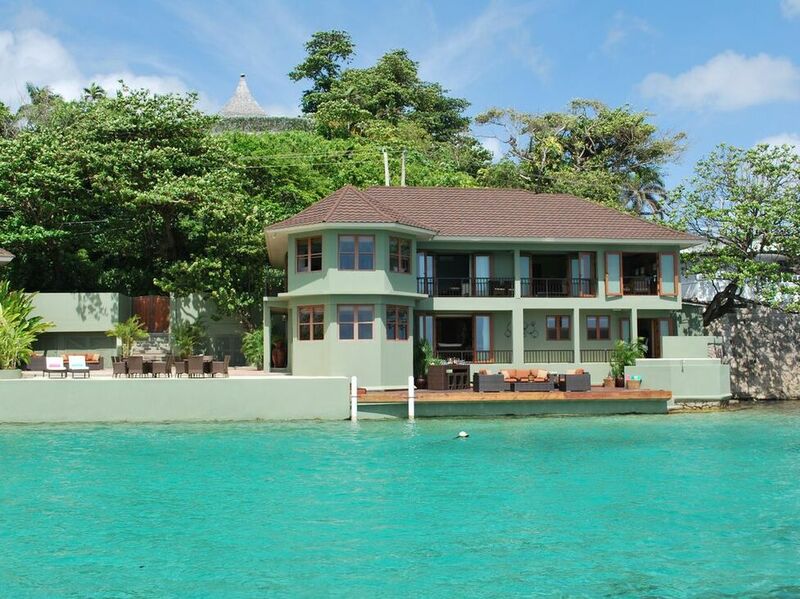 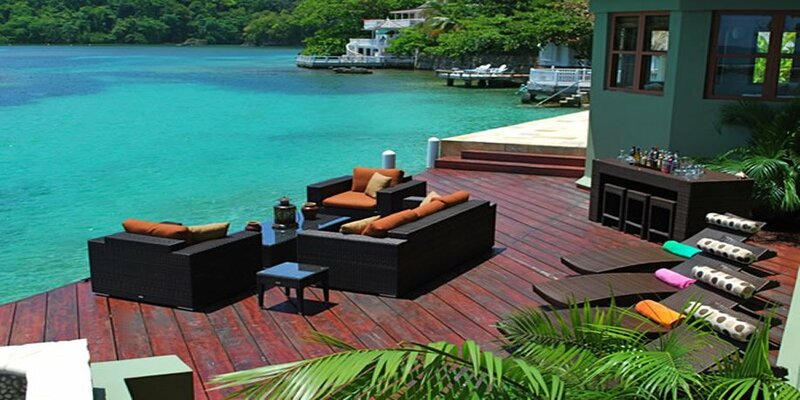 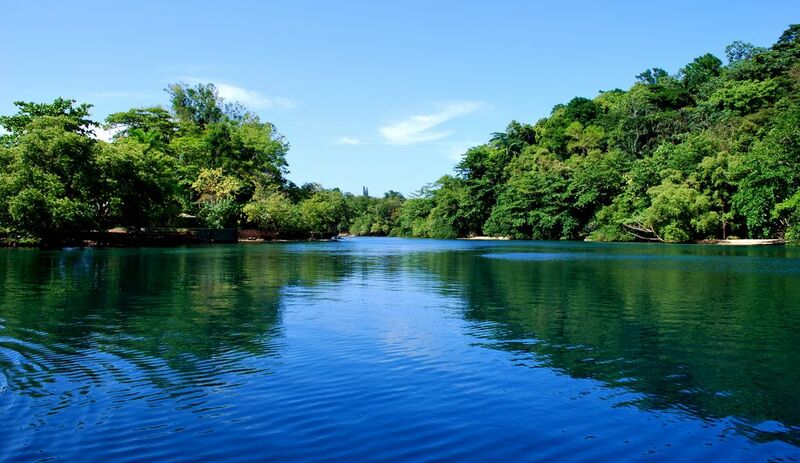 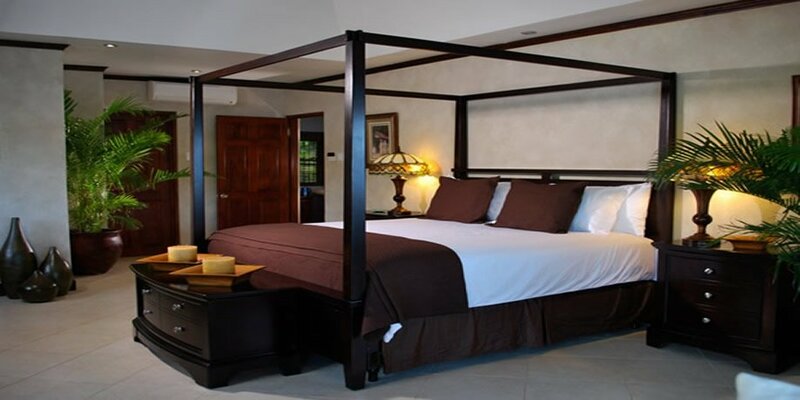 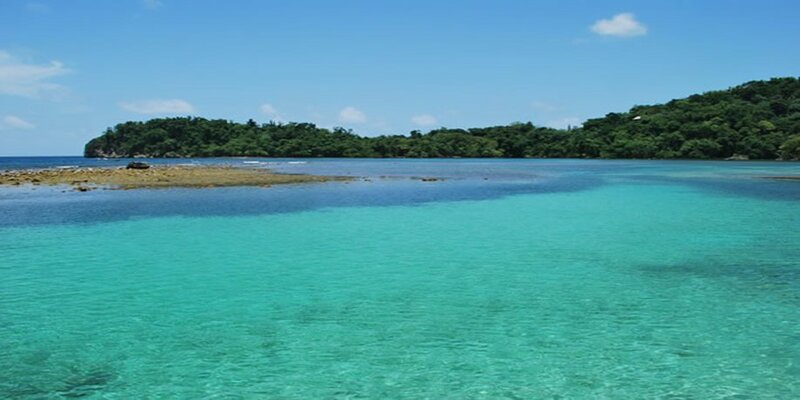 Additional facilities at this villa rental in Jamaica include phone and internet facilities. 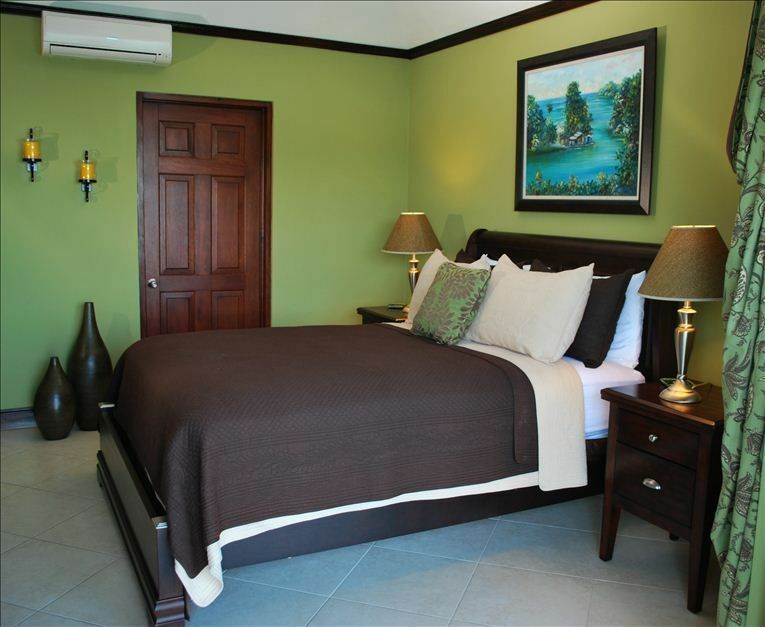 Sea Star Villa is at a 90 minutes' drive from Kingston Airport.